We are thrilled to announce that Paul Jepson has joined Rewilding Europe’s Supervisory Board since April this year. The appointment formalises the hugely valuable and ongoing contribution of this leading British conservationist, geographer and ornithologist to rewilding. 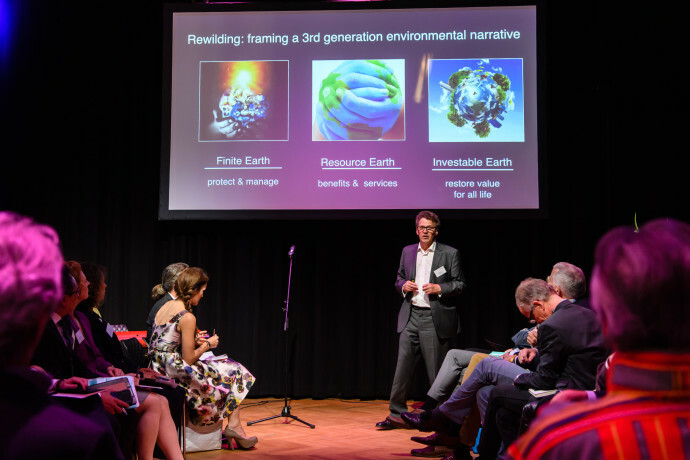 In his keynote speech at Rewilding Europe’s Wild Ways event, held this April in Amsterdam, Paul Jepson explained how rewilding is becoming a new narrative for conservation. A life-long birder and conservationist, Jepson currently directs Oxford University’s MSc in Biodiversity, Conservation and Management. He is also a senior research fellow at the university’s Smith School of Enterprise and the Environment. A passionate and visionary supporter of rewilding for over a decade, Jepson is well known for his progressive thinking on conservation. Through his scientific publications and work at Oxford University, he has already made an invaluable contribution to the development of rewilding as a new conservation narrative in Europe. Paul Jepson became a member of Rewilding Europe’s Supervisory board on 20 April 2017. Jepson is now looking forward to raising the profile of rewilding further within European scientific and policy circles, to making connections between rewilding-related research and related disciplines, and to contributing to Rewilding Europe’s applied work. He will also help to direct thinking on the educational aspects of rewilding, and how Rewilding Europe can interact with technological forces that are shaping the future. To find out more about Paul Jepson and his work, you can also visit his personal website here.